Raw sewage and water pump experiencing corrosive attack. 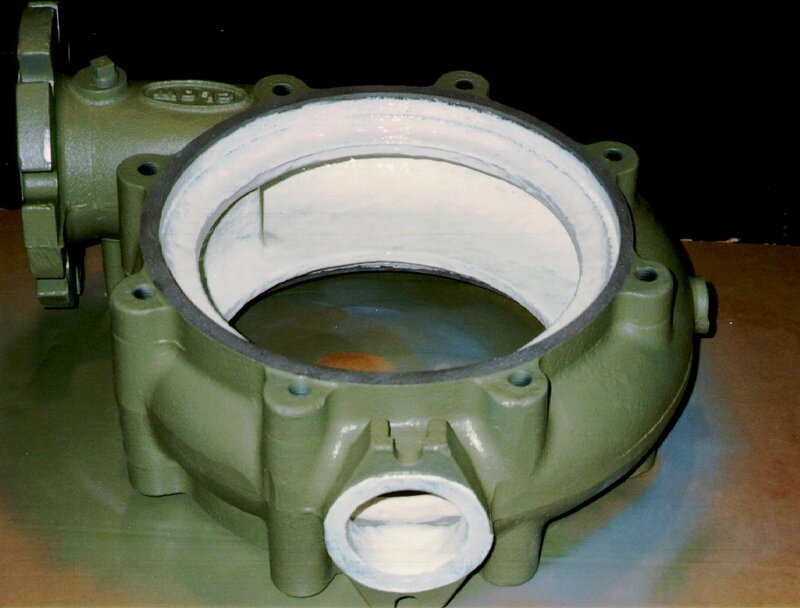 The entire pump casing and side plates were abrasive-blasted to clean the surface. 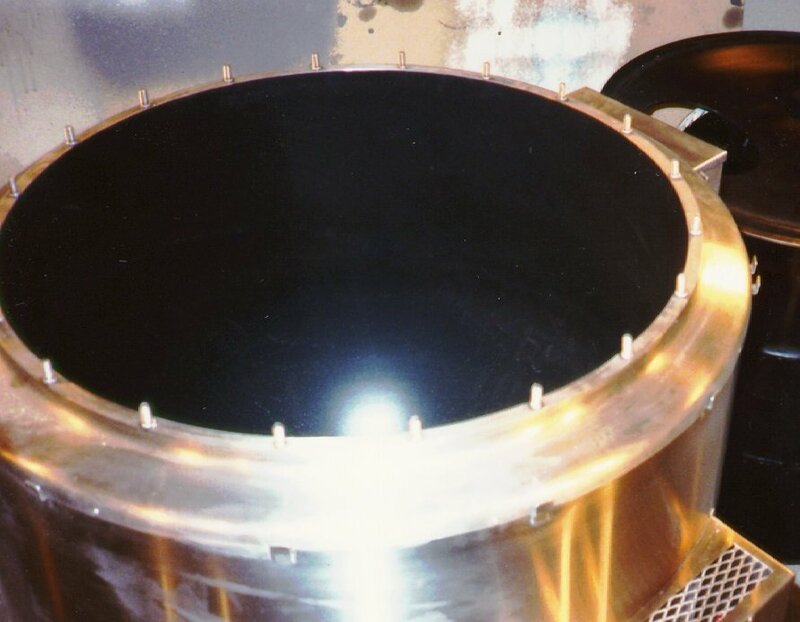 A two-coat system of Arcor™ S-30 was installed to insulate the substrate from the harmful effects of the liquids being pumped. This pump was lined in January 1989. The customer was pleased with a six-month trial run. 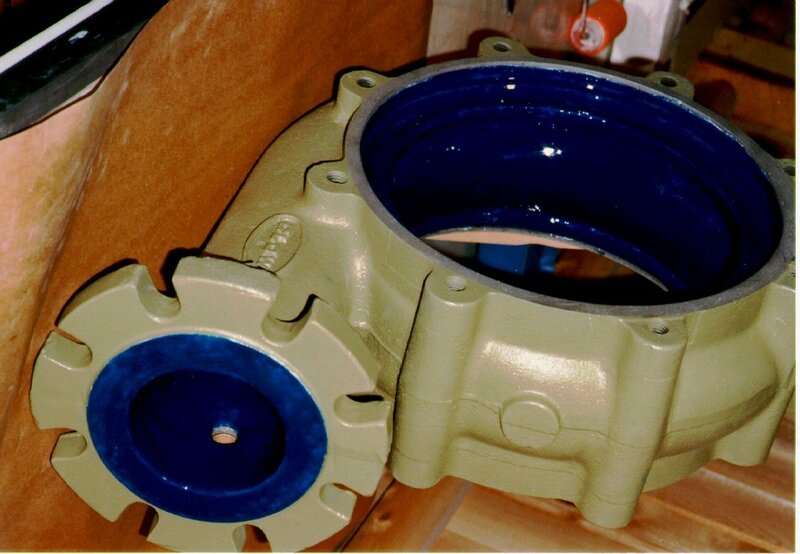 A second pump was coated in early 1990. 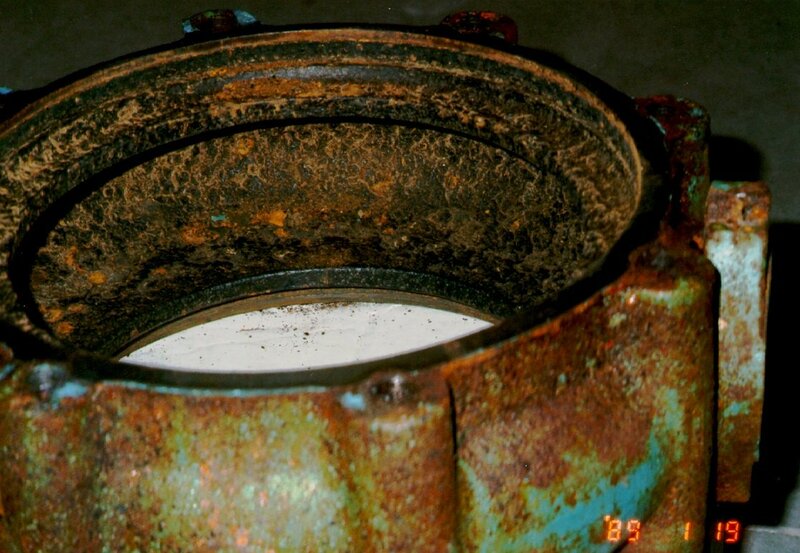 Corroded pump casing before preparation. 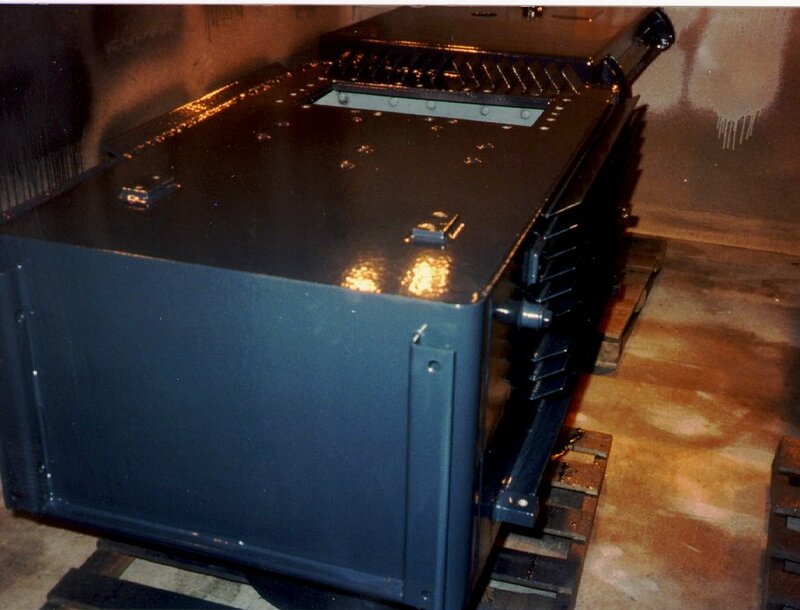 Unit finished with ARCOR S-30 Blue top.